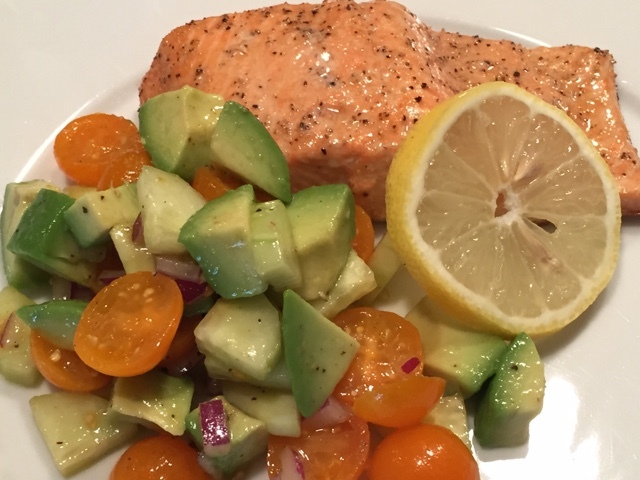 When I'm grilling (lemon pepper) salmon for dinner, this has been my go to salad. 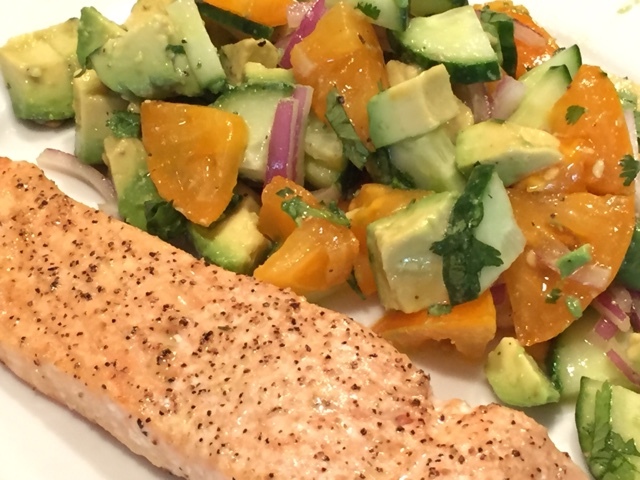 While salmon is grilling, I whip up this salad and dinner can be on the table in 15 minutes. To top it off, it's healthy! I've made this salad several times with different tomatoes I've gotten at the farmers market. The fresh garden tomatoes are what makes this salad so good. 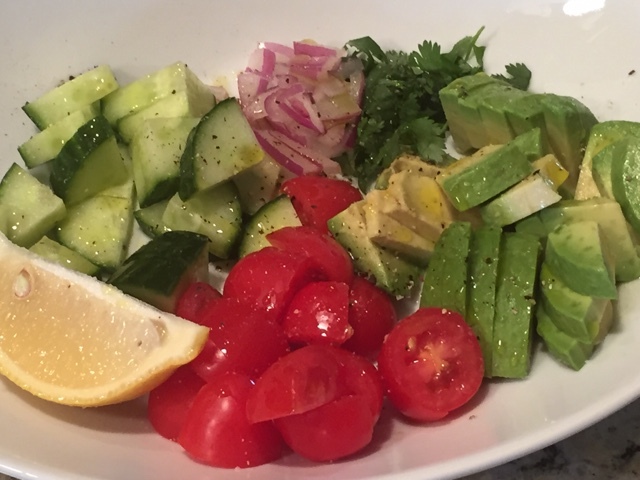 Tomato season is at it's end but when grocery store tomatoes will have to do, it's still a great healthy side salad. I've only made this for my husband and I so I haven't followed the full recipe. I just cut up enough ingredients for the two of us then drizzled with olive oil, squeeze of lemon juice, and sprinkled with some salt and pepper. It's that easy! Wow mouthwatering and very tasty looking recipe I will definitely try this at home. Do you have Pakistani Cooking Recipes.